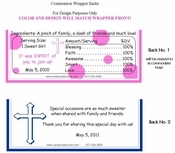 This praying girl First Communion Candy Bar Wrapper is just adorable! She is receiving her First Holy Communion just like your daughter is. How perfect is this Chocolate Bar Wrapper for your special day. 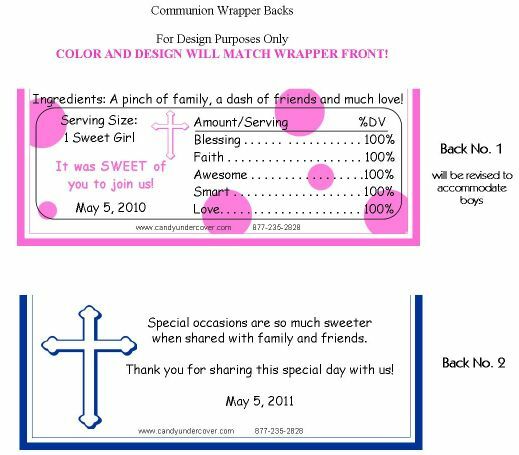 Complete with your child's name and date of Communion, these Candy Bars will look amazing at your Communion celebration!